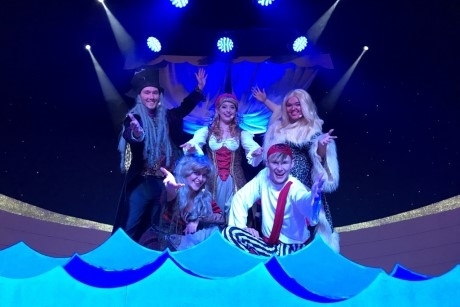 The theme park, Adventure Wonderland, near Bournemouth will be introducing two new workshops to its educational programme next year. The park is Alice in Wonderland themed but also provides many cross-curricular sessions which cover a multitude of topics. Curriculum subjects covered include Numeracy, Science, Geography, Personal and Social Education, ICT, Art and Design. The Mr Rabbit Mystery: this workshop will be led by professional actors and follows the ‘Wonderland Police Department’ as they open an investigation into the disappearance of Mr Rabbit. Students will be asked to get involved with the investigation and use detective skills to put together all the pieces of the puzzle. The River Mekong Adventure: during this session, pupils will join Charlie Cool, a jungle explorer on a wild adventure in Wonderland. Also led by actors, this workshop allows pupils to discover a ‘lost kingdom’ with character Charlie. The workshop of jungle themed movement and music will focus on teamwork and is designed to get students moving, stretching their co-ordination, rhythm and creativity. Post-workshop activities are suggested and could include writing the ending to one of the shows and letting the pupils perform it, or pupils could turn what they have learnt into a script or piece of narrative. Students could also design their own Mad Hatter tea party invitation. There are plenty more ideas available for teachers on the website. The education programme at Adventure Wonderland aims to give balanced sessions, combining fun with learning. The variety of subjects on offer can be covered either by workshops, booklets or supplementary activities, used either at schools or during a visit. Group ticket rates are available on the website. For more information, visit www.adventurewonderland.co.uk.